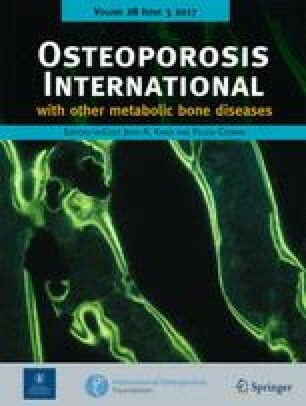 We evaluated the influence of degenerative disease and fractured vertebra on lumbar spine bone mineral density (BMD) and trabecular bone score (TBS) in 1500 women aged 50–80 years. TBS was not affected by a degenerative disease. While BMD increases after 62.5 years, TBS continues to decline. TBS should play a leading role in lumbar spine evaluation. After menopause, lumbar spine (LS) BMD and TBS values decrease. Degenerative disease (DD) increases with age and affect LS BMD. The aim of this study was to measure changes in LS BMD and TBS in women 50 to 80 years old, taking into account the impact of fractured vertebrae and DD. 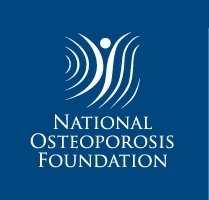 LS BMD, TBS, and vertebral fracture assessment were evaluated in the OsteoLaus cohort (1500 women, 50–80 years old). The exams were analyzed following ISCD guidelines to identify vertebrae with fractures or DD (Vex). 1443 women were enrolled: mean age 66.7 ± 11.7 years, BMI 25.7 ± 4.4. LS BMD and TBS were weakly correlated (r2 = 0.16). The correlation (Vex excluded) between age and BMD was +0.03, between age and TBS −0.34. According to age group, LS BMD was 1.2 to 3.2% higher before excluding Vex (p < 0.001). TBS had an insignificant change of <1% after excluding Vex. LS BMD (Vex) decreased by 4.6% between 52.5 and 62.5 years, and increased by 2.6% between 62.5 and 77.5 years. TBS (Vex excluded) values decreased steadily with age with an overall loss of 8.99% between 52.5 and 77.5 years. Spine TBS, femoral neck, and total hip BMD gradually decreased with age, reaching one SD between the oldest and youngest group. TBS is not affected by DD. While BMD increases after 62.5 years, TBS continues to decline. For lumbar spine evaluation, in view of its independence from DD, TBS should play a leading role in the diagnosis in complement to BMD. Elena Gonzalez-Rodriguez and Ivan Padlina equivalently share the first authorship position. This research could not have been possible without the generosity of the OsteoLaus Cohort participants and of the CoLaus initiators: Pr. Peter Vollenweider, Pr. Gérard Waeber, Pr. Martin Preisig, and Pr. Vincent Moser. Didier Hans is co-owner of the TBS patent and has corresponding ownership shares. The corresponding author ensures that none of the other authors has any conflicts of interest.